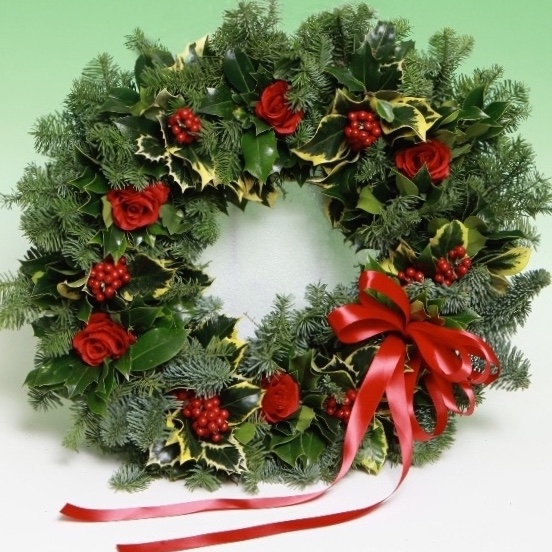 We are now taking orders for Christmas Wreaths and delivery / placement on graves and memorials. 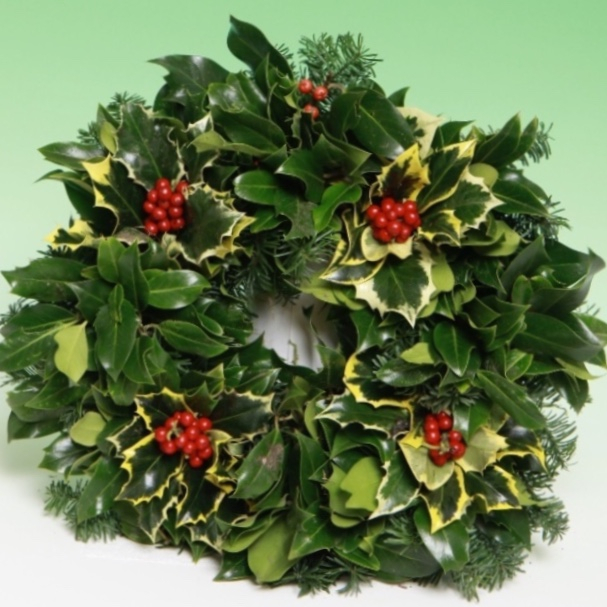 Prices start from £25 which includes the cost of our standard wreath (option W1) and delivery. For more information please contact us and we will provide you full details. Circular natural spruce wreath with moss backing. 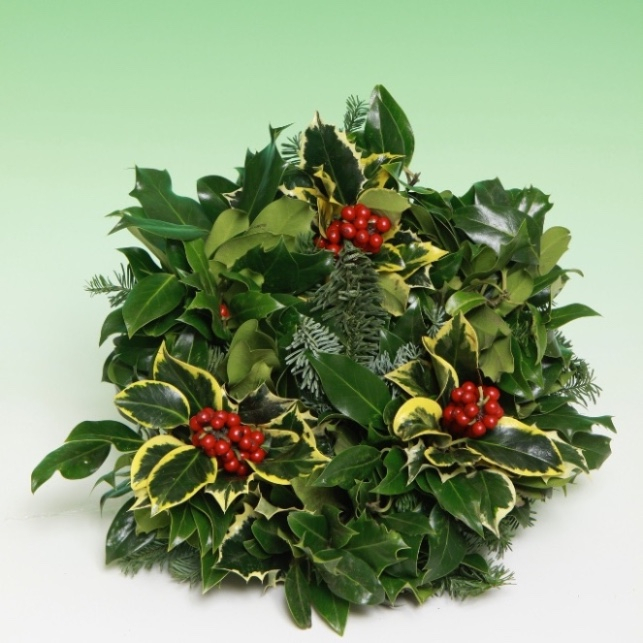 Decorated with natural green and variegated holly, including fresh red holly berries. Approximately 11 inches (28cm) across finished. Approximately 14 inches (36cm) across. Circular natural spruce wreath with moss backing. Decorated with natural green and variegated holly, including fresh red holly berries and inset with natural looking artificial roses. Approximately 20 inches (51cm) across. 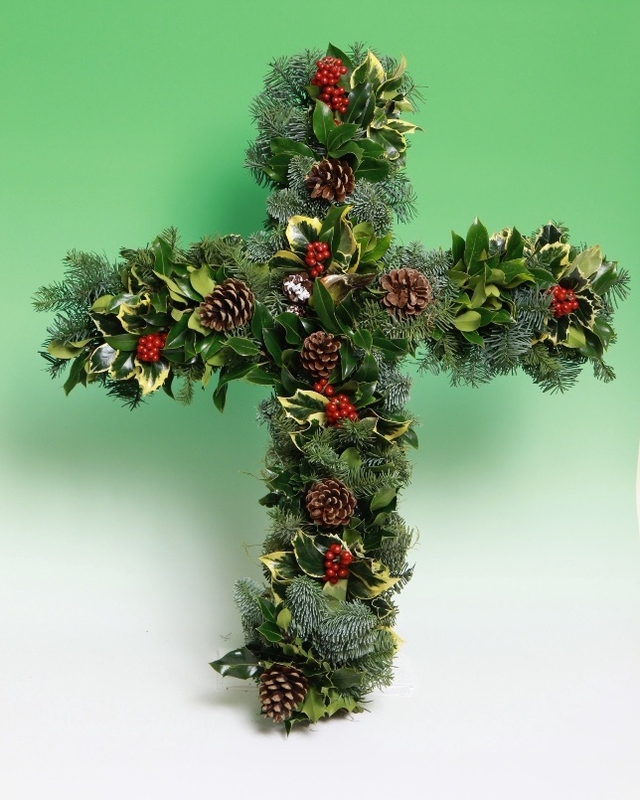 Traditional natural spruce cross with moss backing. 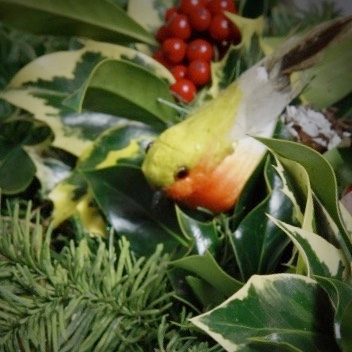 Decorated with natural green and variegated holly, including fresh red holly berries and inset with natural pine cones. Cross approximately 30 inches tall (76cm) and 25" (64cm) wide across. Traditional natural spruce cross with moss backing. 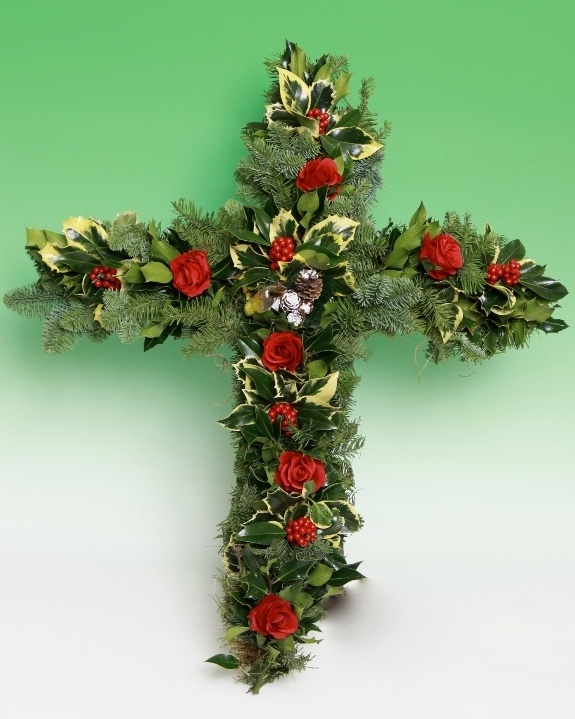 Decorated with natural green and variegated holly, including fresh red holly berries and inset with natural looking artificial roses. Festive robin figurine also sits in the centre of each of the crosses.